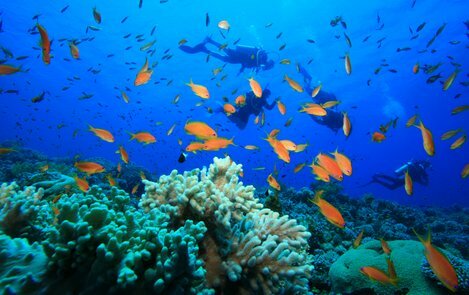 "Cebu Water Is Worth Diving For"
CEBU SCUBA DIVING RESOURCES... WATERS WORTH DIVING FOR! If you think that nature's beauty is fantastic on land, how much more if you dive deep into the sea... It would take your breath away! It is a fact that most marine life and endangered biodiversity are located in tropical country areas. Marine life being so diverse you can see various ugly-looking but interesting species, colorful species of soft and hard corals, turnicates, sea urchins, critters, ghostpipe fish, among thousands! and Learn PADI diving courses. Yes, scuba diving is truly wonderful in this tropical island of Cebu. It does not have only one but tons of places you can explore... Here, I can guide you through some information related to diving. fishes: lion fish, ghost fish, frog-fish, cuttlefish, mandarin fish, etc. sharks: whale sharks, hammerhead sharks, white-tip sharks, etc. flamboyant life forms: alien snails, flying slugs, etc. manta rays and stingrays, etc. If you are an experienced diver... that's great! But don't worry if you have never been under water in your life because scuba diving courses or quick lessons are offered for newbies. Yes, anywhere in the islands with available diving centers, if you may ask. One famous place - especially if you want to swim with a gentle giant whale shark - is located in the town called Moalboal. There, you can find its beautiful beach resort complete with all facilities for all sea lovers and divers alike. If you're really scared of loading up heavy oxygen tanks and suits... don't worry... because you can still explore and watch marine life using snorkel gears. It's that simple! You bring your own or rent snorkels anywhere in the islands' beach centers/stores. "Muck scuba diving". Have you heard about it before? Yes, it is not something new... It is a common fun and basic experience among marine biologist and photographers. You know, they live almost all their lives under the sea studying marine life... And they behave like sea animals too so as not to distract the the natural behavior of living creatures down there! So, if you do muck diving, "What can I see exactly"?, you asked. In this part of the world, you'll see a lot. But, I will remind you that this sort of diving is only for those persons with special taste for smaller moving creatures, critters... ok? 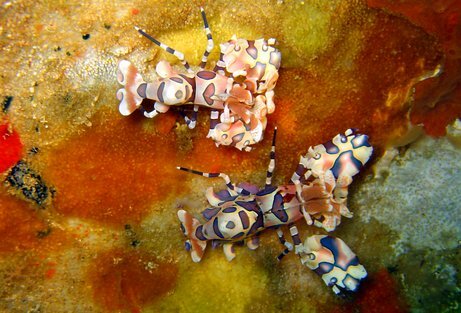 In addition, muck divers forgo the bigger and glamorous creatures such as colorful reefs... They prefer to discover the world of sand and seagrass covered with rusty wrecks - metals, tires, cars, boats, etc. Why is that so interesting? Because many marine life forms tend to hang around such places or live with them. You can find them close by, such as old piers...where people tend to thrown in their abandoned garbage. And for those who really have real diving expertise, many diving sites are waiting for you... Such sites are rare but especially attractive to some with strange taste for wrecked materials. In one of Cebu's famous island, Malapascua Island, special diving guides and courses are available. They know where those wrecks are... and are particularly experts in their fields and surely would satisfy your hunger for such diving sites. Of course, more wrecked diving spots can be availed around the islands or anywhere in the country. A lot of diving sites have diving centers that offer diving courses in various arrays. It is open to people of all ages and experiences. Snorkeling is for grown-ups too, you know! So, please keep reading and just click any links to see more about this site!